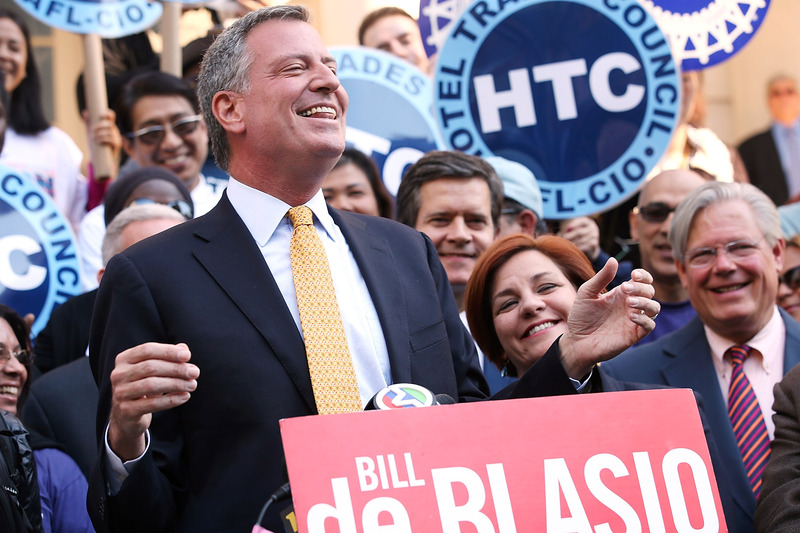 Progressive change is the centerpiece of Bill de Blasio's vision for New York City, and it's why he will be a great mayor of America's largest city. Whether it’s ensuring pre-kindergarten is available for every four-year old, expanding after-school programs for every middle school student who wants and needs them, making affordable housing available for more New York families and preserving community hospitals, Bill's agenda for New York is marked by bold, courageous ideas that address the great challenges of our time. During the primary campaign, de Blasio unabashedly positioned himself as the liberal in the race, a vacuum that desperately needed filling after Anthony Weiner crashed and burned early on. Income inequality was a main theme of de Blasio's campaign; referring to “a tale of two cities” that emerged under Mayor Michael Bloomberg, he pledged to raise taxes on people making over $500,000 a year to fund universal pre-kindergarden and after school programs. He also wants to increase affordable housing through the use of zoning laws (big government alert! ), and supports ending stop-and-frisk. De Blasio, who was endorsed by Hillary and Bill Clinton shortly after winning the mayoral primary, tweeted his appreciation for the Obama endorsement shortly after it was released. Obama's endorsement of de Blasio was much more full-throated than his comically timid 2009 endorsement of then-Democratic nominee Bill Thompson (who also ran unsuccessfully against de Blasio this time around).